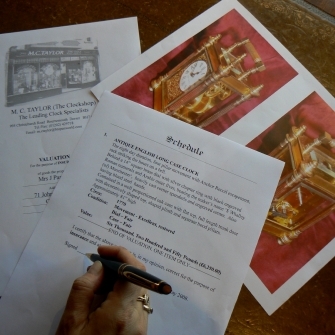 If you have a clock, timepiece or barometer that you wish to know more about, whether you wish to verify the age, authenticity, rarity or value, or if you would like to discover what is known of the maker, this is a CHARGEABLE service we offer. 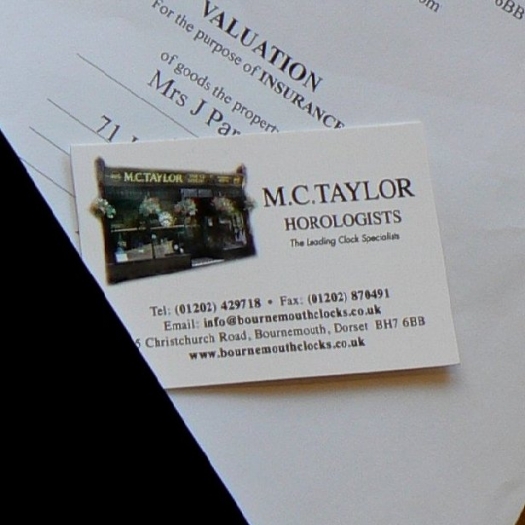 We can value your item for you, including carrying out an identification of its age, the maker's known working dates and an appraisal of the clock's authenticity, its insured value or its selling value. 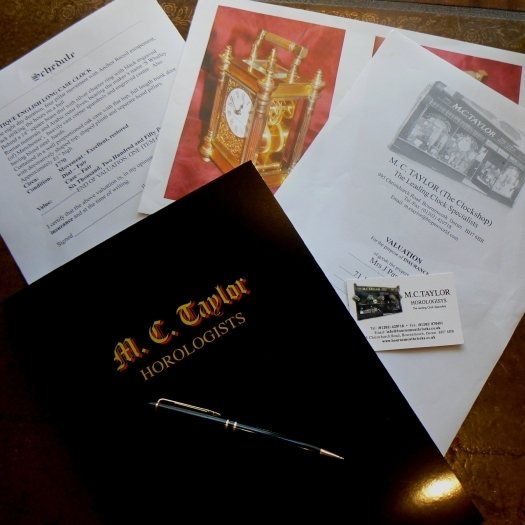 Clock, timepiece or barometer valuations can be obtained from M. C. Taylor. There are two different ways of obtaining your valuation either CLICK HERE for our unique 'e-val' online or bring your item to our shop. 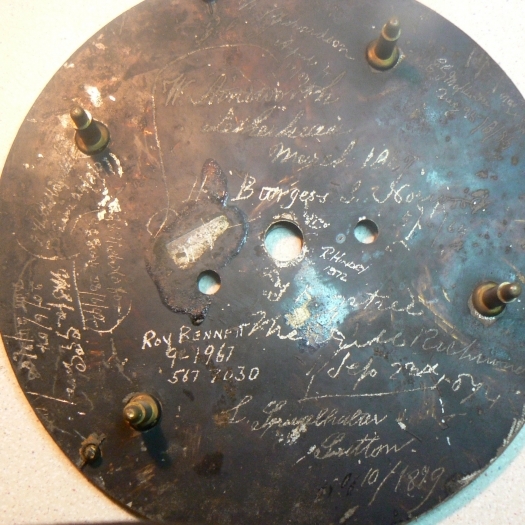 We offer accurate valuations because we specialise in the field rather than the broader antiques market, we constantly monitor the market and are fully aware of aspects such as rarety, quality, special features and can easily recognise certain things that may not be apparent to you.